Home » Fighting Games » Esports in 2019 – 5 top tournaments to watch! 2019 is an exciting year for esports! There are more events, players and fans than ever before, with esports’ growth showing no signs of slowing down. The platforms are also hitting big money leagues with more investment and funding than ever before. Recently, billionaire Tej Kohli’s Required GG Fund announced it would pump over £45 million into esports start-ups. What other investments could we see in esports this year? Well, that’s all to come. We had the Football World Cup last year, but now it’s onto the next big footy related event – the ePremier League. Officially launched by the UK’s football Premier League after months of speculation, all 20 Premier League football clubs will take part in FIFA 19’s competitive gaming event. Clubs battling it out this month will determine the top 16 playoff finalists on PS4 and Xbox One. Once chosen, the top 16 players in each format will take part in a tournament to determine each platform’s club representative. This will happen in a super-charged half-day tournament. At last, we’ll be able to watch the very first ePremier League Final on Sky Sports and the Premier League’s social media channels on March 28th to 29th!! Who are you supporting for the championships? Let us know in the comments below. It’s the biggest game on the planet right now and developer Epic Games is taking things to the next level with the Fortnite World Cup (and a prize pool of $100 million)! It’s an amount that will make your eyes water, but it’s true as Epic Games announced the plans last June to develop an esports competition for Fortnite. The tournament, scheduled to take place this summer, will be inclusive for all players, not just pro teams. So, there will be no selling teams, no selling franchises and no allowing third-party tournament organisers to do so either – qualifying is based on merit alone. That being said, it’s rumoured that Epic are looking for corporate sponsorship deals with a price tag upwards of $25 million. So when will it happen? We don’t know as we’re still waiting to hear about the qualifiers that were supposed to take place at the end of last year. We will stay on top of it though so watch this space for more information. Blizzard Entertainment’s popular hero shooter esport Overwatch League has already cemented its place as one of the world’s top leagues. 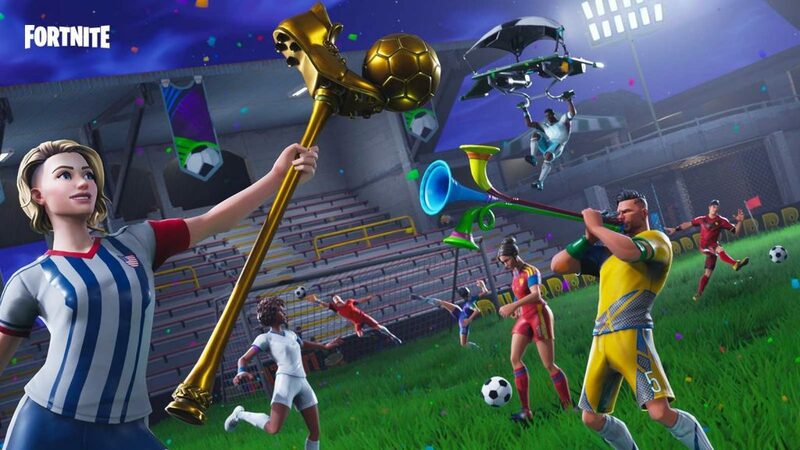 Unlike Fortnite’s World Cup, the league uses the model of traditional professional sports with a set of permanent, city-based teams for you to support and regular seasonal play. Franchises are backed by owners and operate much more like teams in the NFL or Premier League. This year, there will be a further eight teams added to the roster and an increased prize pool of $5 million! So, wherever you are in the world, from Paris, to Dallas, to Guangzhou, you’ll have a team of local heroes to cheer on. The 2019 league officially kicks off on 15th February… Not long to wait until the action kicks off again. League of Legends (LOL) has taken Europe by storm, with France going as far as to pass laws so pro players can process visas quicker and compete in tournaments. Like Overwatch, LOL is based on a European Football style model with eight teams battling it out for the top spot in the league. The model has a promotion and relegation system so teams performing badly will be kicked down to a lower league. This year, the annual LOL World Championship will take place in the city of lights and romance, Paris. The question is: could the reigning champions Invictus Gaming from China take the crown again or will London-based Fnatic topple them? We’ll have to wait and see. If high speed Rocket League action is more your thing, Psyonix is partnering with DreamHack to offer a tasty $100,000 prize pool in four Pro Circuit tournaments. That’s double the prize pool from last year and we can’t wait to see what will happen in 2019. Will PSG take down G2 in the first tournament stop, Leipzig, or will we see a different champion crowned? Keep an eye on the tournament from 15th to 17th February and find out! It’s all to play for this year in gaming and esports so make sure you’re keeping on top of the big competitions. Perhaps you could be the next breakout star? There’s only one way to find out – by playing the latest games at the lowest prices with CDKeys.com.